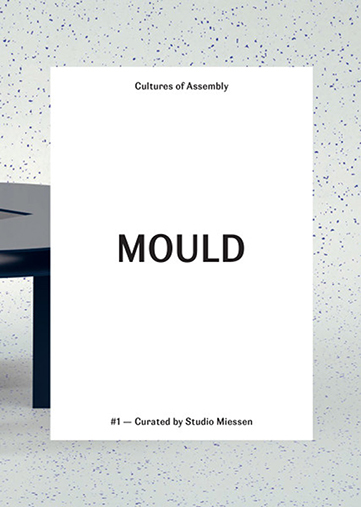 In Mould Issue #1, eds. Markus Miessen, Milan: Mould Press, 2014. Although spaces and acts of assembly have been multiplying over the last years, one does not have a clear sense of their potential direction or durability beyond the moment of their eruption. This plight is, in some ways, wholly understandable as we live in a Promethean world of confounding complexity, a world massively larger than our current sensory and cognitive scope. Alain Badiou has identified our time as one of ‘organized disorientation’, for although sprawling networks of transport, communication, transactions, capital flows and movement are indeed organized (under a particular ideological constellation) all of their subsequent and compounded interactions cannot be mapped, leaving us in a state of cerebral resignation and without an intelligible foothold to begin scaling or reorienting us within this informational behemoth. This ungraspable ‘hyperobject’, produces what could be called ‘complexity fatigue’, a state of being cognitively overwhelmed, where we are ill-equipped to enter an arena of reasons at all (and it is this incapacity that also fosters a conflation of ‘personal’ opinion as a freedom in and of itself, without any public requirement to substantiate statements, or make them explicit). It is under these conditions where affect takes hold of our motivations, to the abjuration of constitutive effects. To be clear, this is not a denunciation of affect, but a concern for its role in the production of disorientation in the wake of complexity fatigue. Cultures of assembly are necessarily passionate spheres of gathering for a purpose (even when quiet and deliberative), so the cognition-heavy statements should not be taken some instance of distant, unimaginative rationality devoid of emotion. Yet there is the qualification of the nature of those passions, and in what sequence they emerge, where enthusiasm “…may be elicited by linking moral and political principles to examples that ‘enliven’ the will…” and where “affect must remain an effect, and not a cause.” In this project of striving for reorientation as a purpose of assembly, affect cannot be the sole means of assembly, but must be deployed as a by-product to recursively nourish the will and sheer endurance activities of reorientation necessarily require. Patricia Reed, "Constructing Assemblies for Alienation" in Mould Issue #1, eds. Markus Miessen, Milan: Mould Press, 2014.